Over the last decade, there have been tremendous gains in women’s global economic empowerment, with more women becoming entrepreneurs and gaining access to financial and other vital services. Yet, challenges remain, including an increase in global hunger and malnutrition in the last several years. Join us for a discussion with Lauren Hendricks, Executive Vice President for Program Strategy and Institutional Relations at Grameen Foundation, on how we can create new opportunities for women around the world by closing gender gaps in access to financial services, digital technology, and productive assets, and by strengthening women’s decision-making power in their homes and communities. Lauren Hendricks is the Executive Vice President for Program Strategy and Institutional Relations at Grameen Foundation. Previously, she was Executive Director for the Access Africa initiative at CARE, where she led the development of financial inclusion programs and innovative solutions to reach the poorest people in Africa. Lauren also served as Director of the Economic Development Unit for CARE USA, where she provided strategic direction and technical leadership for more than 100 active microfinance and enterprise development programs in 54 countries. Before joining CARE, Lauren was a Program Specialist at the Center for Institutional Reform and the Informal Sector at the University of Maryland. 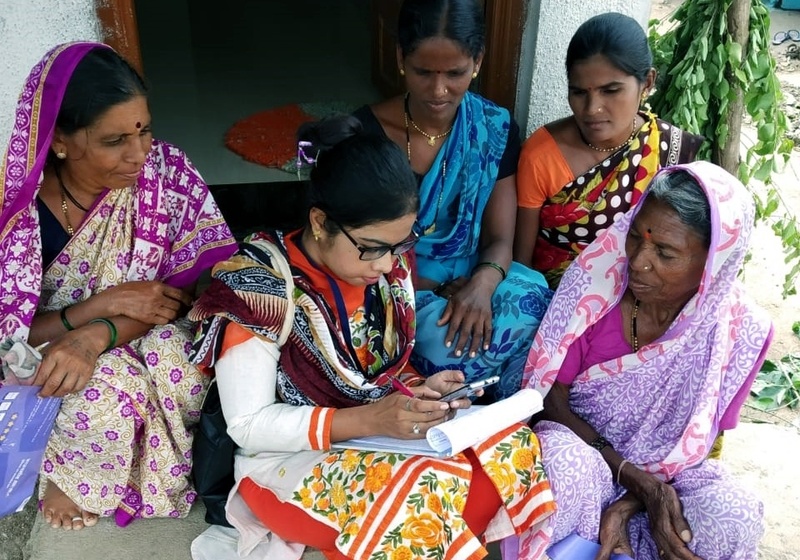 Her research focused on the development of low-cost tools to assess the poverty outreach of USAID funded microenterprise development programs. Lauren currently serves on the Board of Directors and Investment Committee for MicroVest, a capital management firm investing in microfinance institutions. She also chairs the board of the Access Africa Fund, a specialized investment fund managed by MicroVest, providing debt and equity investments in African microfinance institutions. Global Conversations in St. Paul is presented in partnership with Landmark Center and Minnesota International NGO Network (MINN). Photo courtesy of Grameen Foundation.